What natural remedies to take for the flu? 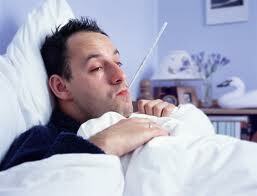 Here is a list of homeopathic flu remedies. Check your symptoms and find the best fitting remedy. Gelsemium is the # 1 remedy to think of with the typical flu symptoms: tremendous aching, no thirst, a low grade fever (100/101) with chills running up and down the back and clamminess rather than sweating, tremendous lethargy and sleepiness, no energy to talk or open the eyes. Baptisia looks like Gelsemium but it’s much worse–people look and feel very sick. The temperature is higher, the face is a flushed – typically is a dark red (not pale), the pains are severe, there’s an intense thirst with profuse sweating, typically the breath and sweat smell bad. The lethargy and sleepiness are so extreme people will fall asleep in the middle of a sentence. If extreme chilliness predominates then think of Arsenicum or Nux vomica. Bryonia– if a painful cough develops. If a low grade fever goes on for longer than 2 or 3 days think of Ferrum phosphoric. These homeopathic suggestions come from Miranda Castro. She is a very popular homeopathic doctor that practices in Florida. One remedy that is not mentioned that I like to have on hand also, is Eupatorium. This remedy is given when there is deep aching in the muscles and bones- feels like the bones are broken. If you can believe it this flu bug went through our family last year. I remember laying in bed feeling like my legs were broken. I had never felt such intense leg pain before in my life. It was horrible. I will never forget to pick up this remedy during the flu season! You can pick up all these remedies at your local health food store. Stay Well!